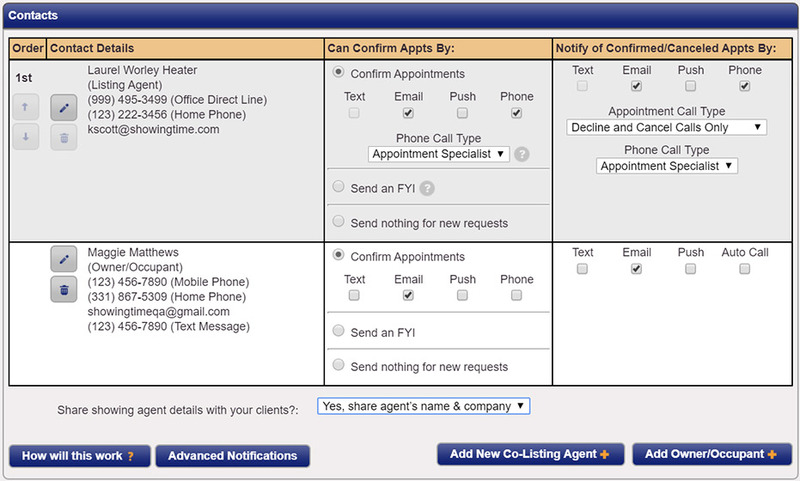 Agents using the ShowingTime Appointment Center Service have many options available in regards to communication methods. We provide agents with the following methods to be informed of Showings or informed of Confirmed or Cancelled appointments. These can be either a live call with a Customer Service Representative (CSR) or automated (Instant Auto Call) with our ShowingVoice Service. Calls marked to be handled by ShowingVoice will go out along with notifications set as either Email, Text Message, or Push Notification. Calls marked to be handled as a live call will typically be delayed 30 minutes to allow any form of automated notification to be replied to, if ShowingTime has not received a response within the 30 minute wait time, then live calls will be placed. (Electronic Mail) is a service that was introduced in 1993. ShowingTime uses email as a base for almost all of our communications. Also known as known as SMS (Short Messaging Service) has been a vital communications tool since it's introduction in 1992. All ShowingTime Appointment Center Customers will have 2-way SMS. Notifications of appointments & status are sent instantaneously, these messages can be replied to with either a 'Y' to confirm a showing, or 'N' to decline a showing. 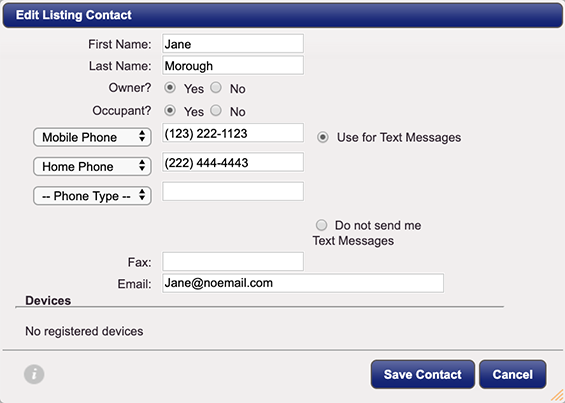 ShowingTime will always call contacts in the order that their phone numbers are listed on this form. In some markets, the ability for the listing agent to accompany the showing agent will exist. In these markets, the listing agent can choose to confirm or deny a request before an owner or occupant is made aware of it. The listing agent can choose to allow the contact to be first in line to approve these requests or to wait until the agent is sure the showing will fit into their schedule. ** - When scheduling on multi-unit listings, ShowingTime will keep you informed of an appointment status every time we have obtained confirmation or cancellation for an individual unit. If this is not a desired option you can always change this setting in your profile.